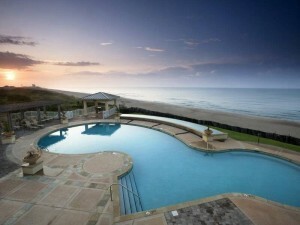 Find panoramic ocean views mixed with luxury at this week’s Featured Property Grande Villas 8-G. 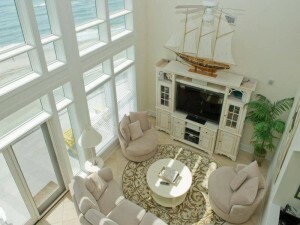 Located on Indian Beach, this 3 bedroom (2 kings, 2 bunk beds), 4 bathroom oceanfront condo features memory foam toppers on all beds, king Sleep Number beds and 2 grand master suites that open to the spacious terrace overlooking the beautiful Atlantic as well as The Preserve. This unit also happens to be the top floor 2,725 square feet penthouse suite featuring a studio loft with a queen sleeper sofa, pool table, pinball machine, flat screen TV, Blu-ray DVD player, Wii and wet bar with mini refrigerator. The custom kitchen is fully equipped with stainless steel appliances, granite and marble countertops and custom cabinetry throughout. 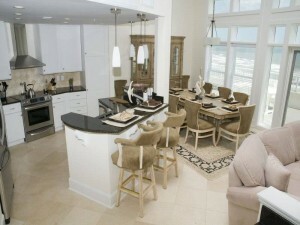 The general area also includes an 8 person dining table and loft area with full bath, TV and wet bar. Grande Villas 8-G also features a large capacity front loading washer/dryer, dishwasher, 5 cable HDTVs, 5 Blu-ray DVD players, Playstation 3, iPod compatible stereo with CD player, wireless high speed Internet access and surround sound stereo throughout. You can also enjoy Grande Villas’ amenities including the oceanfront Grande Pool and Pavilion with poolside refreshment bar and children’s pool. And if you just cannot afford to miss your daily fitness routine, use the health and fitness center and enjoy gorgeous ocean views while doing so. The fitness facility features state-of-the-art equipment, sauna and more. 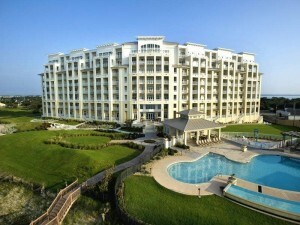 Check rates and availability for this oceanfront condominium. View additional property photos of Grande Villas 8-G.